The silly season is well and truly upon us and isn't it fun!!! This is the time of year that most people hate the shops but have to go, I have almost finished my Christmas shopping and I still want to go to the shops. I adore the holidays and would have to say going to the shops to see the children sit on Santa Clauses lap with the biggest smile you could ever imagine, unless they are wee little ones who generally cry! I stood in a crowd of people the other day at a local shopping centre watching school kids sing Christmas Carols, so festive! So Christmas shopping almost ticked off, now it's time to wrap. Wrapping is everyone's way of getting creative and putting that extra effort into your gifts without to much expense. I had so much fun this year going through some of my old decorations and wrapping paper to come up with something different. 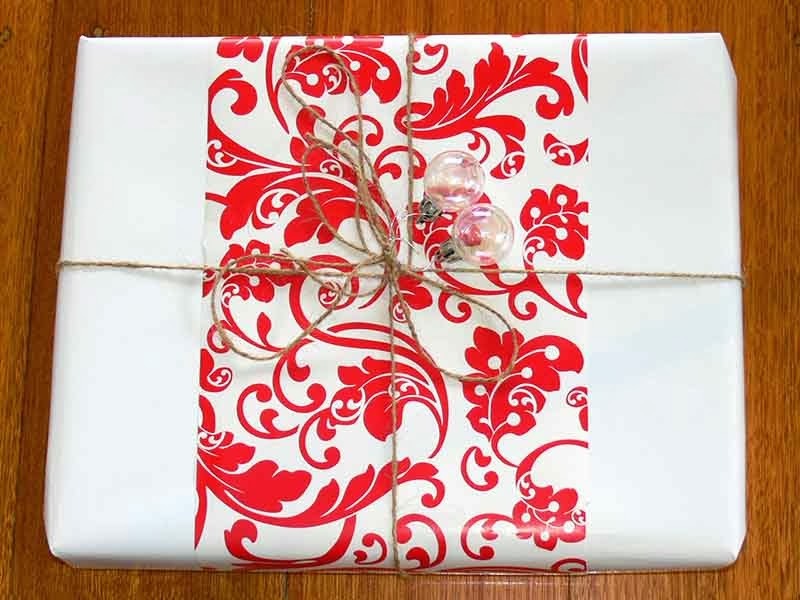 Every year I see presents just wrapped up quickly...why not put some more effort in and let your creativity burst. 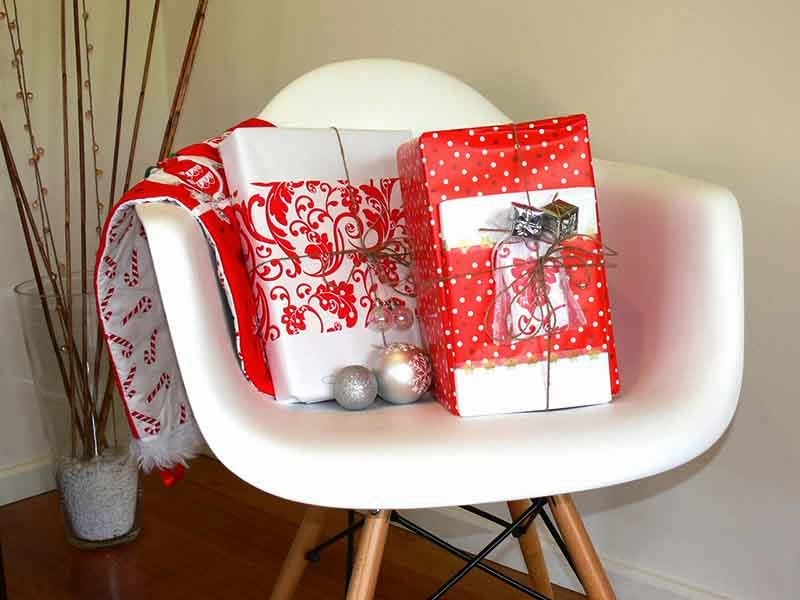 During one of my many visits to the shops in the last 2 weeks I picked up some red and white wrapping paper, I already had some string and some washi tape with some chrissy decorations on it so scoped them all up and headed over to my ever growing pile of presents. 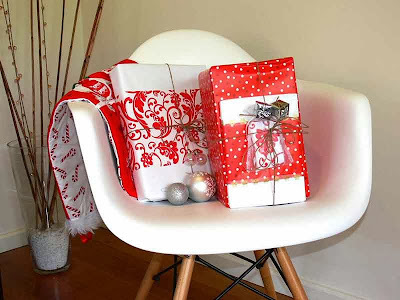 There are so many creative ways to add some style to your presents, below is just one example for you. When we finished decorating our Christmas tree we had a few decorations left over, just some small baubles and faux presents, what better way to make good use of them....check out what I did with them below. I have a few gifts to give to a close friend of mine and wanted to wrap them all up and keep them together to make sure I didn't mix them up. I continued with my red and white theme, added some washi tape as you can see on the middle present below. 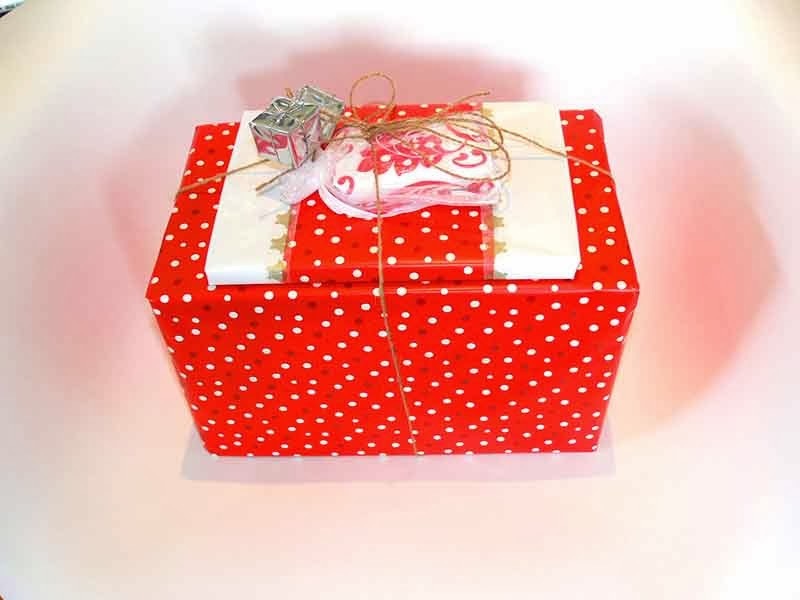 The tape has gold bells which I used like a border, put the smaller present in a little gift bag, tied them all together with the strong and added some of the faux present decorations I had left over. I can't wait to give her this present, I can't decide what I'm more excited about, the wrapping or the present itself. 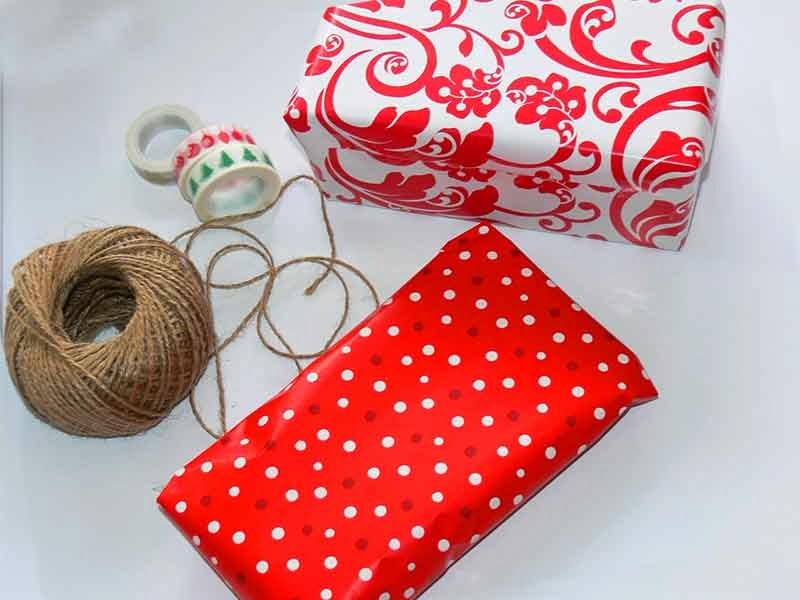 I enjoyed wrapping up all my presents with a bit more creativity, there are so many things you can do, I would love to see some of your wrapping ideas so please share.